Lucia Mar is an equal employment opportunity employer and is committed to recruiting and hiring a diverse workforce. Lucia Mar currently has approximately 1,200 employees serving the students and communities of South County. All vacancies can be viewed online at Edjoin. Located along the California Central Coast between Santa Maria and San Luis Obispo, Lucia Mar is the largest school district in San Luis Obispo County. 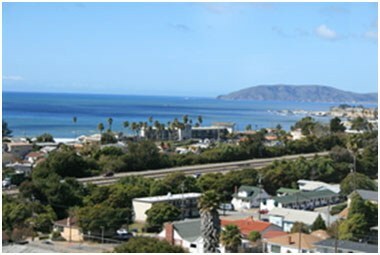 The Lucia Mar Unified School District covers 550 square miles and serves the adjoining communities of Arroyo Grande, Grover Beach, Nipomo, Oceano, Pismo Beach, and Shell Beach. Governed by a seven member Board of Education, Lucia Mar proudly educates more than 10,500 students who attend Lucia Mar’s eleven elementary schools, three middle schools, three comprehensive high schools, one continuation high school, community school, adult transitions program, and adult education. Ongoing partnerships with the community colleges, state universities, and local businesses also provide an important role in educational improvement. Lucia Mar offers an excellent benefits package which includes health, dental, vision, cancer, and life insurance. We also offer retirement options (CalSTRS or CalPERS & Social Security) for eligible employees. Classified employees are eligible for educational benefits through CSEA. Eligibility and benefit packages are subject to change through collective bargaining and health care provider requirements. Eligible employees are also able to acquire additional health programs through AFLAC. The Lucia Mar Unified School District does not serve as a promoting agency for any companies or references listed above for housing options. Lucia Mar provides this information for prospective and current employees as a resource only. The District has not inspected, approved, or disapproved any listings, advertisements, or facilities presented by the listed companies. The District does not accept responsibility for the listings or their quality. The District also has neither reviewed or approved the policies and practices by the agencies and/or housing practices.